The wife of Zafar Bhatti, the Christian pastor in Pakistan who last week was sentenced to life in prison under the country's controversial blasphemy laws, says her husband is being tortured every day. "There have been numerous attempts to kill my husband — he is bullied everyday and he is not safe from inmates and prison staff alike. Every day I worry that I will receive word that he is dead, this worry is making me age very quickly," Nawab Bibi, 65, told British Pakistani Christian Association reporter Shamim Masih in an article published on Monday. "I pray for him every day and when we meet we cry together and pray, seeking God's intervention. I know God will free him one day but ask for Christians across the world to pray for him and to challenge their governments to help him," Bibi added. She insisted that her husband is a good man and a committed Christian, and saw his church grow despite "many Muslim people" who hated his success. "I wish our persecutors would see that Christians are not evil creatures. We are human beings created by God, the same God that created them, although they do not know this yet," she said. BPCA, which is raising money for Bibi as she battles to free her husband, explained that the couple's children have been forced to live with the wife's grandparents, as she can no longer afford to keep them. What is more, her eldest daughters have had to be placed "into arranged marriages at very young ages," the group said, in order to help the family with the expenses. Bhatti, who has been in Adiala Central Jail since 2012, was sentenced to life in prison on trumped up charges of sending "blasphemous" text messages from his mobile phone. Legal advocacy group CLAAS, which is based in the United Kingdom and run by Christians from Pakistan, claimed last week that the court overlooked lack of evidence in the case, however. "The lower court's judges always hesitate to make decisions on the merit, or free people accused of blasphemy, and instead transfer their burden to the higher court without realizing how their decision will impact the accused and their families' lives," Nasir Saeed, director of CLAAS-UK, said in a statement. "Bhatti is innocent and will be freed by the higher court. But it will take several years for his case to be heard by the high court, and until then he and his family will continue suffering needlessly." 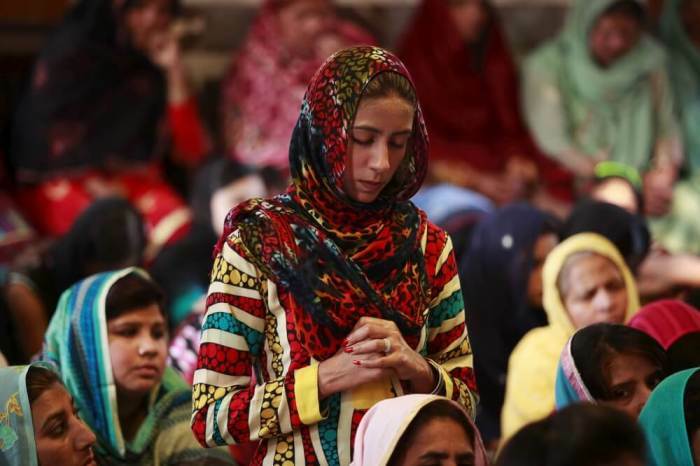 Watchdog groups, including Open Doors USA, have long warned that the blasphemy laws in Pakistan are being used to target minorities like Christians, and to settle personal scores. BPCA noted that Bhatti has faced a number of attempts on his life while in prison, including poisoning on March 31, 2013, which left him in critical condition, bleeding from his nose and mouth. "Zafar Bhatti has now been incarcerated for nearly five years for a crime he ostensibly did not commit. He is being convicted for a text message on a phone that was not his in a crime that for all intents and purposes was fabricated to remove him from his role as a pastor," said BPCA Chairman Wilson Chowdhry. "That unjust draconian laws can be used in this fashion to wreak havoc on the lives of Christians and other minorities in Pakistan is a disgrace for the nation of Pakistan," Chowdhry added.